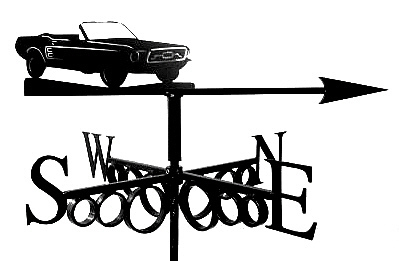 Get your own attractive Ford Mustang themed weathervane for your house, garden or shed. Get your own attractive Ford Granada themed weathervane for your house, garden or shed. 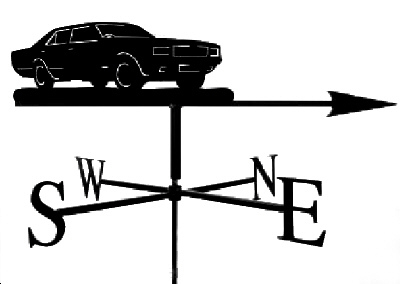 Take your choice of two classic Ford themed weathervanes: the legendary Ford Mustang and the Ford Granada. Measures approximately 46 cm across the cardinal points (north - south or east - west), and will suit a shed, garage or summer house.